Hot summer days call for ice cream–and what could be better than a scoop of Schoep’s, made right here in the neighborhood? The East Side History Club loves to get questions like John’s, and share what we find out when we research the answers. If you happen to have old photos featuring Schoeps, let us know. I wish I could remember who told a story at one of our meetings about how Schoep’s would give a free ice cream cone to any child who came in with a four leaf clover. I bet John would like to talk to her. In 2008, we reported in An East Side Album that Schoep’s Ice Cream Company, now at 514 Division Street, was founded by Madison grocer E.J. 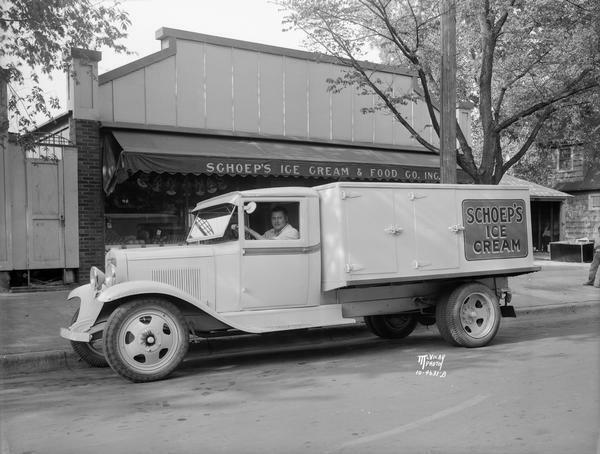 Schoephoerster, who began to make ice cream in the back of his store on the corner of La Follette and Ohio Avenues in 1928. (That’s the building shown above.) Our information at the time indicated the name was shortened to Schoep’s when the business was sold to P.B. Thomsen, a butter maker from Windsor, Wisconsin, in 1937. But the 1934 date on the photo above hints that the name was already shortened by then. 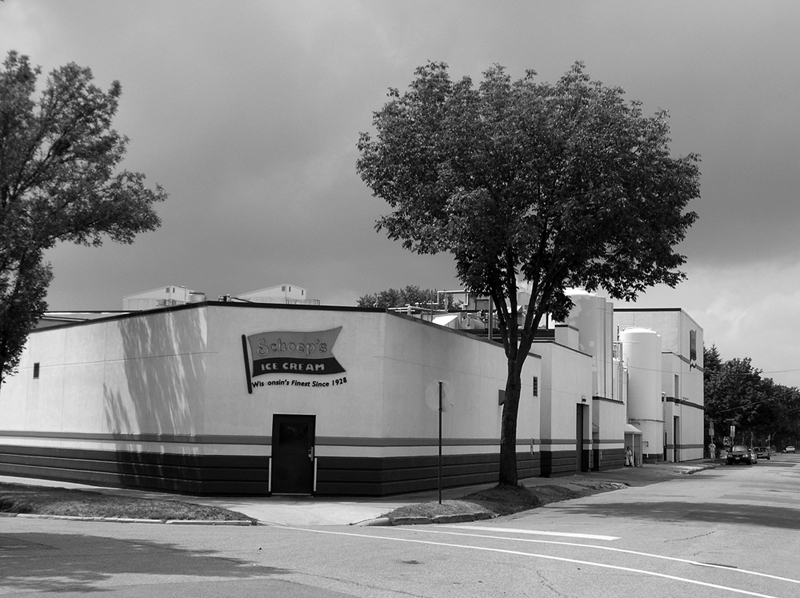 The factory moved to 514 Division Street in 1940 and is still run by the Thomsen family, making more than 12 million gallons of ice cream in 75 flavors each year. Now go check your family albums for old Schoep’s photos, then get out and buy some ice cream!